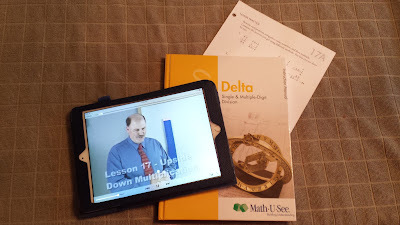 We have been a Demme Learning's Math-U-See family for the past four years and my son and I were very excited to review the new Digital Pack for the Delta book we are currently using. We enjoy Math-U-See for a number of reasons. Sebastian can mostly do it on his own. He watches the video and if he has questions about it he comes to me, but for the most part he is able to work on it on his own. Any questions I may have are answered in the instruction book and it helps explain other ways to approach the concept. The mastery approach is less confusing for us. My husband and I both prefer to master concepts before moving on to the next so we aren't a fan of spiral approaches to math. 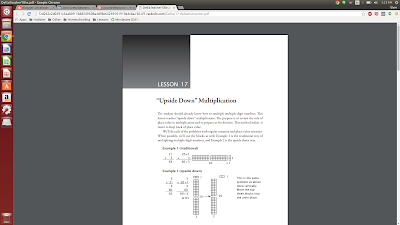 However, there is plenty of review built in to the lessons in Math-U-See so concepts do not get forgotten. The workbook isn't flowery. There aren't pictures or colors to confuse or distract. Each daily lesson page takes less than ten minutes for Sebastian to do. The support Math-U-See gives its customers is like no other. If my children aren't understanding something, have hit a wall, or we are otherwise distraught, a phone call to the folks at Demme Learning can calm us and help us on our way to better learning. What do the digital packs offer? We have been enjoying the online videos. It is so much easier to pull up the tablet and watch the videos than to turn the TV and PlayStation on, pull out the DVD and find the lesson. Pulling it on the tablet is faster and we love getting school done quicker! 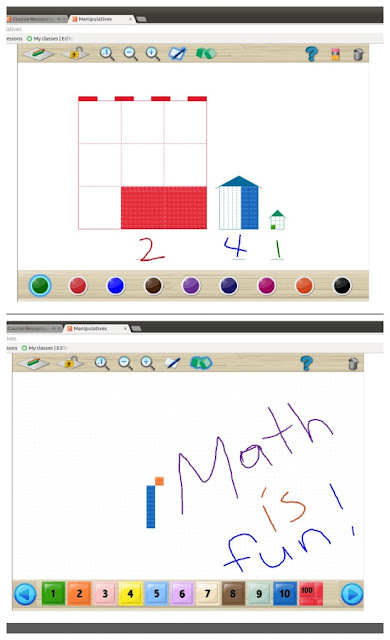 We haven't used the online manipulatives with Sebastian in the Delta level, but I have been using it with Kaelyn at the Primer level. We used to pull out a big poster board to do the decimal street, but doing it digitally on the tablet makes it easier to use! There are many times we prefer to use the actual blocks for the tactile and kinesthetic learning, but it is nice to have a choice in how we use the manipulatives. 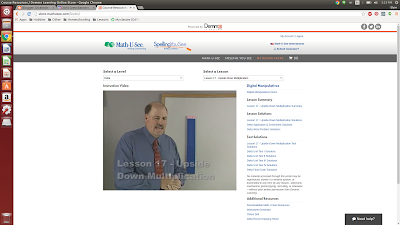 I have been enjoying the digital pack because for the lesson is there on the screen. I can easily navigate from the video, to the instruction book, to the lesson answers, to the test solutions. I don't have to flip through the book and find things because they have it all laid out for me on the lesson page of the digital pack! 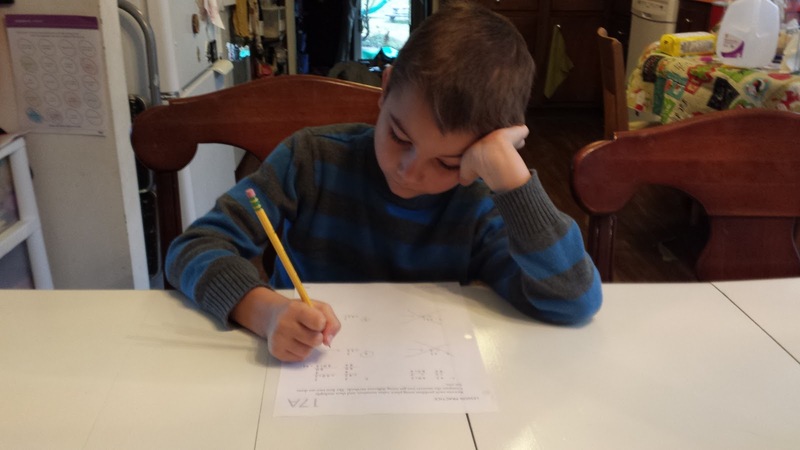 That has helped me speed up my own side of homeschool grading. This is such a nice feature for us to use in our homeschool! My son enjoyed it because he loves being able to use the tablet during his school day. Technology just captivates him and for some reason, the tablet is better than the TV. I plan on purchasing the digital pack when Sebastian moves into Epsilon. After using the digital features, we work on a worksheet. Sometimes we do it together, but usually he does it on his own. 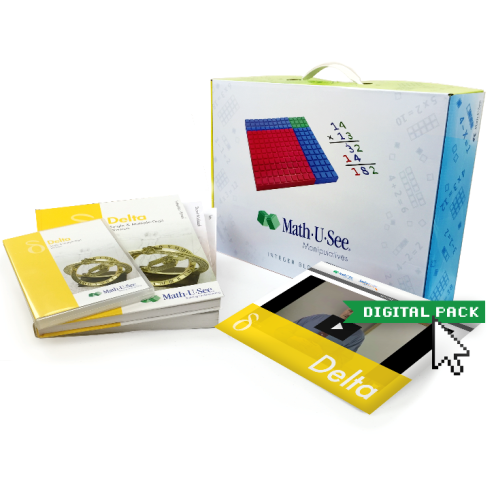 I think if you are a digital family that uses a computer or a tablet during your homeschool day, the Math-U-See digital packs would benefit you. The Delta Digital pack on its own is $38, but also comes in the Universal Kit if you are buying everything all at once.